Dr. Jack Gruber, inventor of the PeriClean, was recently interviewed by John Stamper for an episode of The Digital Tradeshow Podcast, a podcast about what’s new and what’s next when it comes to the products and services used in the dental industry. 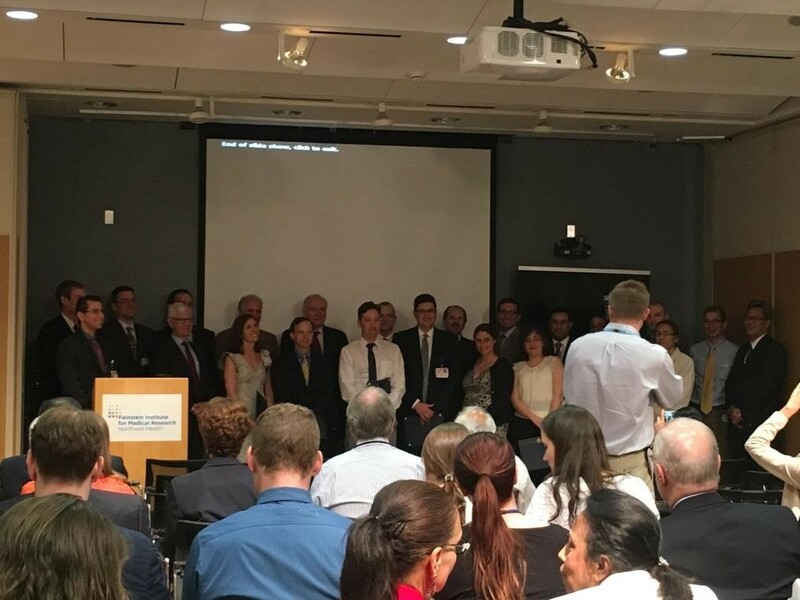 In this podcast episode, Dr. Gruber tells us his story from starting out in dental school over 40 years ago to how dentistry has changed and progressed since then. He also explains how and why he invented the PeriClean ultra-soft toothbrush. When he first started out in the dental industry, a lot of people didn’t even know what a periodontist was. It has been a journey for him to become one of the leaders in his field while also bringing awareness to people about their gums and periodontal disease. One of the most exciting things for Dr. Gruber is educating the public and having his patients see and understand the anatomy of their gums, bone and enamel. On top of being a periodontist, teacher and researcher, Dr. Gruber is the inventor of the PeriClean ultra-soft toothbrush. He discusses how the PeriClean has become an important part of his life and a family business with his son managing and shipping the orders that come in from all over the world. To hear more about the history of the PeriClean as well as some fun facts about Dr. Gruber, click here for the full episode of the podcast. 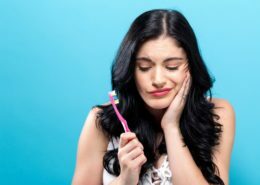 A recently concluded study performed by researchers in the College of Dental Medicine at Western University of Health Sciences, compared the efficacy of the PeriClean Ultra Soft Specialty Toothbrush against a traditional soft nylon-bristle toothbrush showed results in favor of the PeriClean Toothbrush. Performed over the course of 12 months with patients regularly receiving dental treatment at the university, the study included pre-qualified patients between the ages of 18 and 80 who met certain dental health criteria. The study subjects were split into two groups: a control group that used a traditional nylon-bristled toothbrush and the test group, which used the PeriClean. After a year-long study with periodic comprehensive dental exams, researchers were able to conclude that the PeriClean Ultra Soft Toothbrush did, in fact, reduce the risk of gum recession in patients’ mouths compared to the control group over the course of the study. Follow the link below to read the exciting study posted online in the Journal of Oral Hygiene & Health. Dr. Jack Gruber, Periodontist & Inventor of the PeriClean, was recently interviewed by New York’s PIX11. 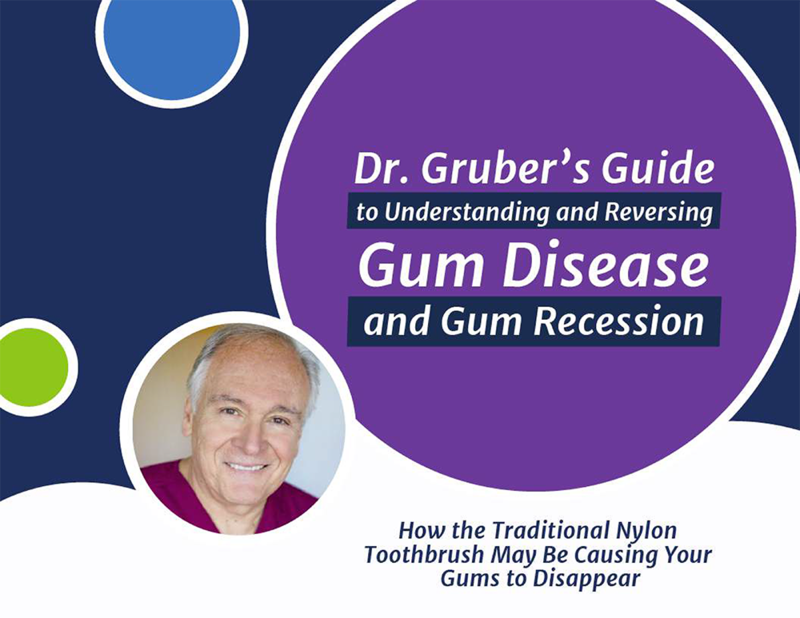 Dr. Gruber discussed gum recession, sensitive teeth, and how the PeriClean can help. The PeriClean’s soft rubber bristles are designed to clean your teeth as effectively as a standard toothbrush while saving your gums from the harsh damage a standard toothbrush can cause. New York’s PIX11 also spoke with a patient of Dr. Gruber, who discussed how the PeriClean helped her overcome bleeding gums, gum recession, and sensitive teeth. 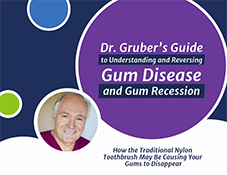 Great Neck, NY — Dr. Gruber DDS, a leading authority in the silent epidemic of gum recession and gum disease, says “it’s time to take a closer look at how we clean our teeth and to rethink the traditional nylon toothbrush” in a new ebook. 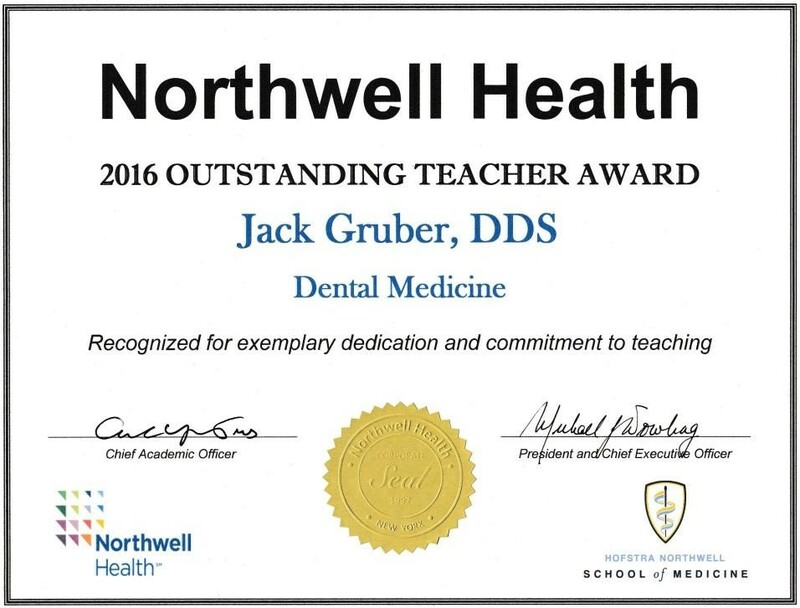 Dr. Jack Gruber, DDS is an award winning Periodontist whose experience spans over 40 years as a pioneer in periodontal medicine. Gum disease impacts more than 75% of adults over the age of 35. It can even occur in children, which is all the more reason why it’s important to instill good brushing and flossing habits at a young age. 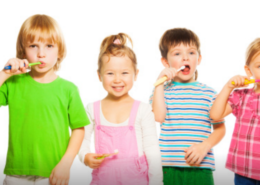 People are susceptible to gum recession at any age. Each year, an estimated 24 million people suffer from gum recession as a result of what the Medical College of Georgia School of Dentistry has labeled as “toothbrush disease.” The term means gingival recession and wear of the root surface caused by over-brushing, which contributes to receding gums and hypersensitivity of the teeth. An accomplished periodontal surgeon, and award-winning instructor, lecturer, and researcher who trains dentists on how to excel in their craft, Dr. Gruber is also the creator of the PeriClean Ultra Soft Toothbrush. Dr. Gruber developed the PeriClean after an overwhelming number of patients had been coming to him with receding gums primarily due to aggressively over brushing their teeth and gums with a standard nylon toothbrush. It represents the first complete redesign of the conventional nylon bristled toothbrush in over 77 years. 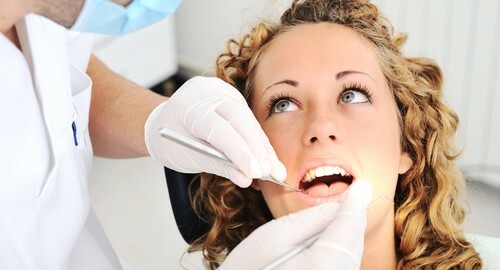 Readers can click here* or visit the PeriClean website (http://periclean.wpengine.com) to download a free copy of Dr. Gruber’s Guide to Understanding and Reversing Gum Disease and Gum Recession. Dr. Jack Gruber DDS discusses how dentistry contributes to longevity with a fascinating historical discussion on the link between dental health and longer life spans. NEW YORK, NY, JAN 7, 2015 – The PeriClean® Ultra Soft Toothbrush (www.periclean.com) was compared to a standard soft toothbrush in a new medical study. The study tested how well the Periclean® Ultra Soft Toothbrush removed plaque from teeth and gums. The aim was to give people who over-brush their teeth a safer alternative to standard toothbrushes that can damage gum tissue and tooth enamel. The study revealed that the PeriClean® Ultra Soft Toothbrush removed plaque just as effectively as the standard toothbrush. The major advantage of the PeriClean® was its extremely gentle cleaning action, which prevented injury to gum and tooth structures. Millions of people around the world suffer from “toothbrush disease” which causes receding gums and sensitive teeth. 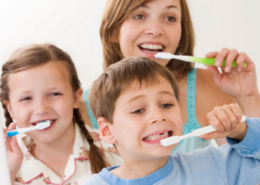 “Toothbrush disease” stems from over-brushing with a standard toothbrush. The PeriClean® Ultra Soft Toothbrush was created by Dr. Jack Gruber, DDS, in an effort to combat gum recession and tooth sensitivity caused by over-brushing. To schedule an interview, media appearance or for more information, Contact Us. Aside from using whitening toothpaste or going in for a laser whitening or bleaching session, there are certain foods you can eat to help encourage a brighter smile and protect your teeth from stains caused by the likes of coffee, tea and wine or dark-colored foods like spinach and beets. 1. Cheese: New study shows cheese, which is rich in protein and calcium, can help prevent cavities by protecting your mouth from acids. 2. Sugar-free gum: Typically boasting a seal of approval from the ADA, sugar-free gum is sweetened using non-cavity causing ingredients, including aspartame, sorbitol or mannitol. Chewing sugar-free gum contributes to maintaining a clean mouth since it increases the flow of saliva, which reduces plaque acid and tooth decay. 3. Apples and pears: Firm and crunchy fruits contain high water content that helps stimulate the flow of saliva, your body’s first line of defense that neutralizes any acidic foods that are harmful to your teeth. 4. Celery and carrots: Similar to apples and fruits, these crunchy vegetables stimulate saliva flow. In addition, their fibers helps scrub teeth clean. The vitamin A in carrots also contributes to healthy tooth enamel. 5. Nuts and seeds: Slightly abrasive, hard foods like almonds, walnuts or sunflower seeds help eliminate plaque and rub stains off the surface of teeth. 6. Broccoli: Munching on raw broccoli offers a very brief way to scrub the surface of your teeth. The florets of this green veggie act as a “brush” to give your teeth a quick cleanse. 7. Strawberries: The malic acid in these red berries act as a natural astringent that removes discoloration on the surface of your teeth. Mashing strawberries and mixing with baking soda may also be used as a once-a-week tooth whitener. 8. Ginger: The properties of ginger allow it to act as an anti-inflammatory, which helps protect against gum disease. 9. Onions: Though its aroma may not be the most welcome, eating raw onions may help keep your mouth healthy. Raw onions contain sulfur compounds that reduce the amount of bacteria in your mouth. With any meal or snack, it’s important to rinse your mouth with water afterward, if you cannot get to a toothbrush in time. Regular brushing and flossing are a must to help maintain your healthy smile. It’s not just about avoiding sweets and soda that will help maintain your dental health. You can also keep your mouth healthy when selecting your next batch of fruits at the grocery store. Keep this list handy to help you when it comes to making choices that will contribute to maintaining your oral health–and ultimately your overall health. Fruits that are firm or crunchy also have a high water content that helps dilute the effects of the fruit’s sugars when it is consumed. Eating apples, pears or other firm fruits help stimulate the flow of saliva in your mouth, which washes away food particles and protects against decay. As your body’s first line of defense, saliva helps neutralize any acidic foods that can be harmful to your teeth. Many times, citrus fruits, which are acidic foods, get a bad rap for being harmful to your teeth. However, citrus fruits strengthen the blood vessels and connective tissue of your gums. Vitamin C found in citrus fruits help reduce inflammation that can help prevent or slow the progression of gingivitis. Since citrus fruits like oranges, grapefruits and lemons are highly acidic, eat them as part of a larger meal to minimize the detrimental effects of acid on your teeth. Similar to citrus fruits high in vitamin C, strawberries also boast plenty of vitamin C that contributes to collagen production. This ultimately helps maintain healthy, strong gums. Strawberries also contain malic acid, a natural enamel whitener. Raw cranberries contain polyphenols, compounds that kill or suppress bacteria that can lead to plaque, cavities or gum disease. Polyphenols are also found in green and black teas. High in potassium, bananas also contain loads of magnesium, an essential mineral for the formation of tooth enamel. Fruits, though healthy, are still high in sugars that can linger in your mouth, which can contribute to bacteria build-up. Remember that with any snacks or meals, you should rinse your mouth with water if you can’t get to brushing your teeth after eating.